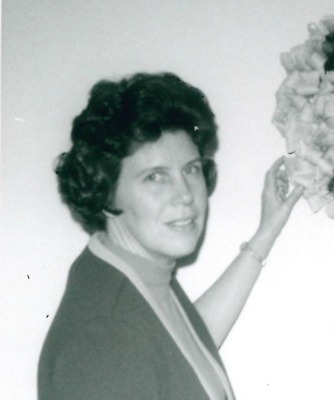 Barbara S. York, 87, of Lancaster, passed away on July 23rd, 2018 at Lancaster General Hospital. She was the wife of the late Charles H. York. Born in Harrisburg, PA, she was the daughter of the late Earle and Linnie (Hess) Smith. After graduating from New Cumberland High School in 1948 and then from Penn State University in 1952 with a major in Home Economics, she worked at PP&L for seven years. She later taught Home Economics in Lititz School District and as a substitute teacher for the School District of Lancaster. Barbara was Past President of the following organizations: Penn State Alumni Club, Lancaster Woman’s Club, Lancaster Towne Club, and was part owner of the Knight House in Cape May, NJ. In her spare time, she enjoyed traveling the world and entertaining friends from abroad. Her hobbies included playing bridge, photography and arts and crafts including paperweights and stained glass. She was a member of Highland Presbyterian Church in Lancaster. Relatives and friends are respectfully invited to attend a Funeral Service at DeBord Snyder Funeral Home & Crematory, 141 East Orange Street, Lancaster, PA 17602 on Monday, July 30, 2018 at 11:00 AM with the Rev. Dr. Ann Osborne officiating. Friends may greet the family from 10:00 AM until the time of the service. Interment will be private in Rolling Green Cemetery. In lieu of flowers, contributions may be made to the Woodcrest Villa Benevolent Fund, 2001 Harrisburg Pike, Lancaster, PA 17601. I am sorry for your family’s loss of Barbara. May the “God of all comfort” embrace you and bring to your minds joyful memories. All the best wishes for your family at this time, take care. Donald and family. We are so sorry for your loss. Because of Ed’s recent surgery, we will not be able to attend the service, but we are keeping you and your family in our prayers. I have many fond memories of time together. God bless you and your family, Love, Joan and Ed.